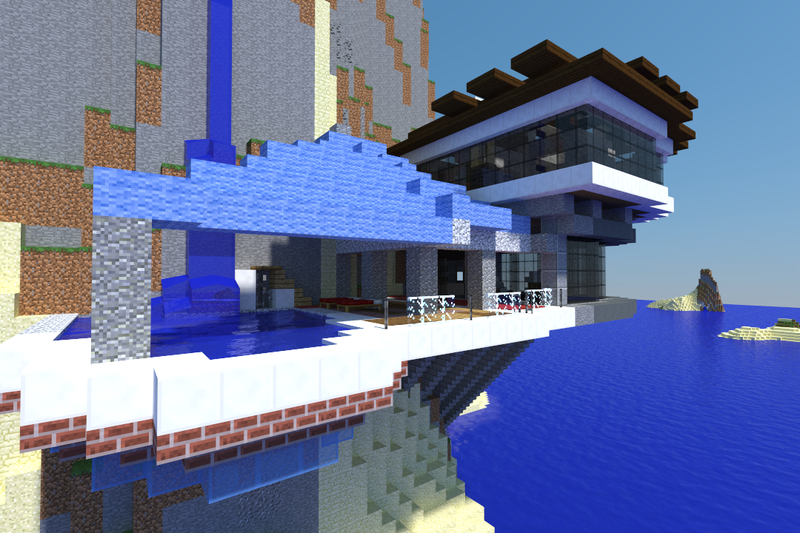 This is a build based on an amplified ocean terrain (world seed 13). It was completed in one night and took approx 5 hours. The house is build on an ancient ocean volcanic plug, much like Ball's Pyramid. It is a two level residence, with bed, ensuite and theatre above, and entertaining (including an infinity pool with transparent floor) below. The entry way is through a modern art collection including abstract sculptures.